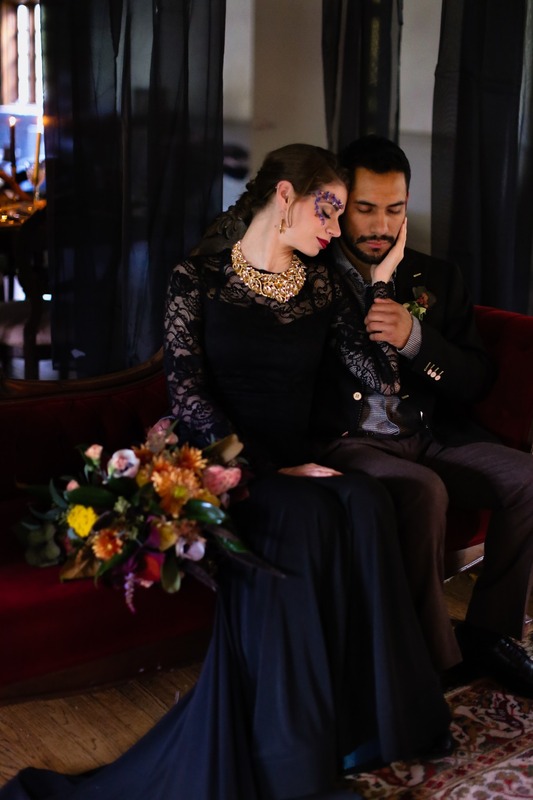 One thing you don’t see often in the wild world of weddings is an all-black color scheme, and it's no mystery as to why (death, mourning, etc). 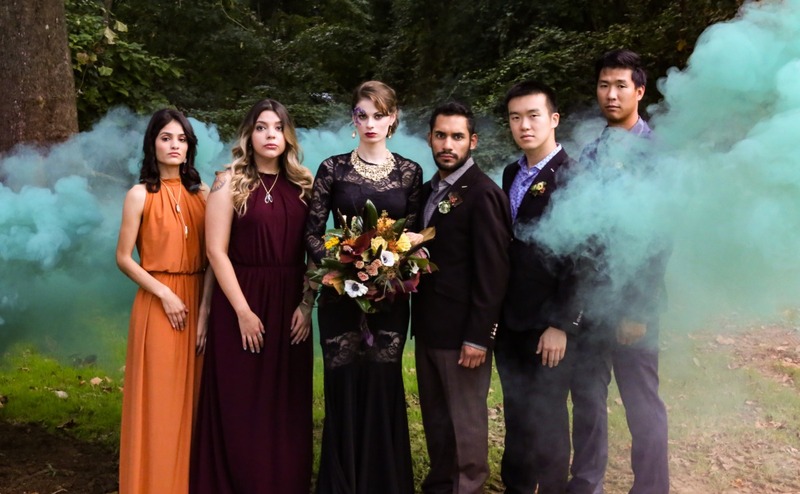 But the talented folks over at Bohème's Jubilee want to change that, so they styled and captured their hearts out in hopes of shedding some light on this dark + dramatic theme. Cue the drama! 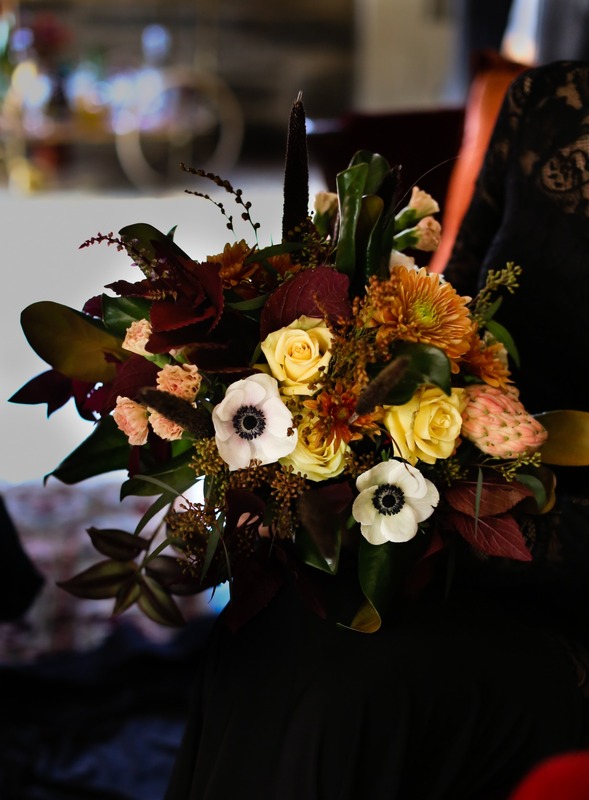 The drama is in the details, and there are so many must-see ideas to be had thanks to all the talented vendors involved. 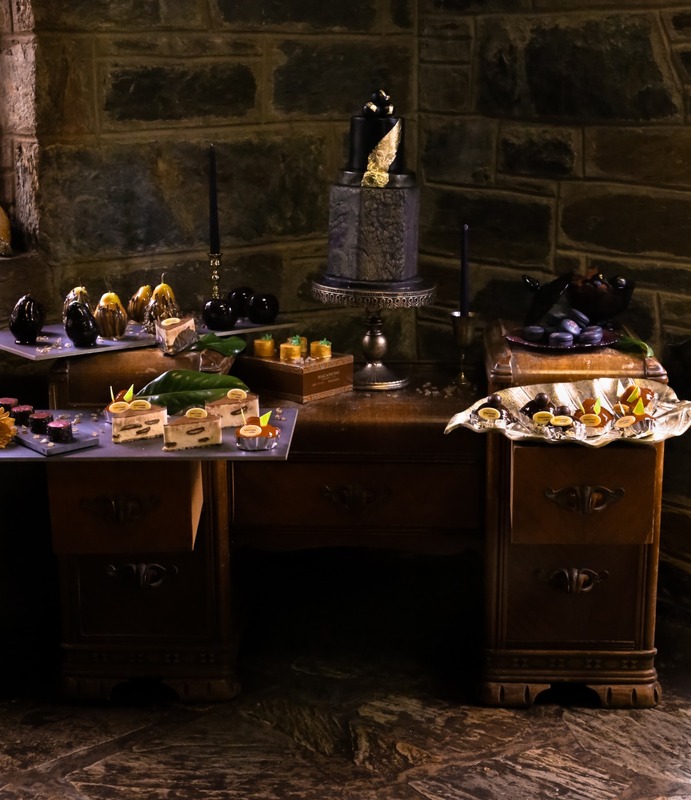 With pops of color and natural accents throughout, this once bleak theme is transformed into an ultra-sophisticated day we can get behind. 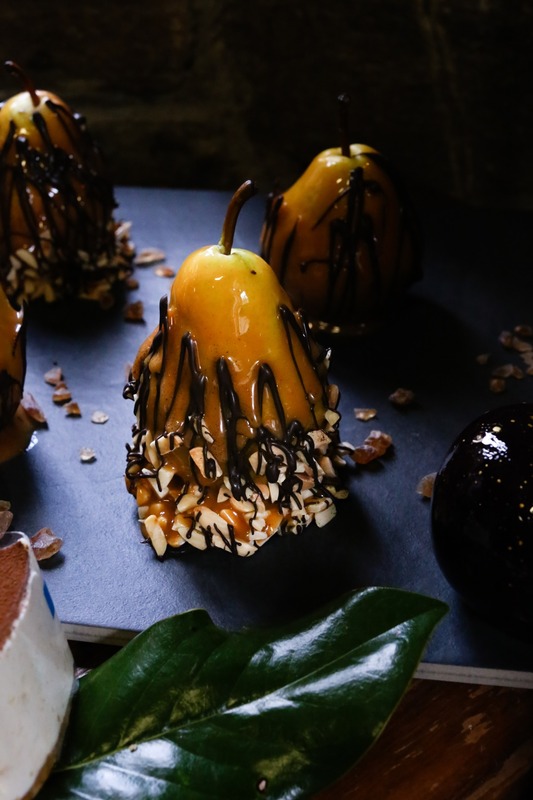 From the custom made wedding dress in black from Meagan Kelly Designs to the dramatic dessert table with a huge assortment of mouthwatering sweets. Yummy! 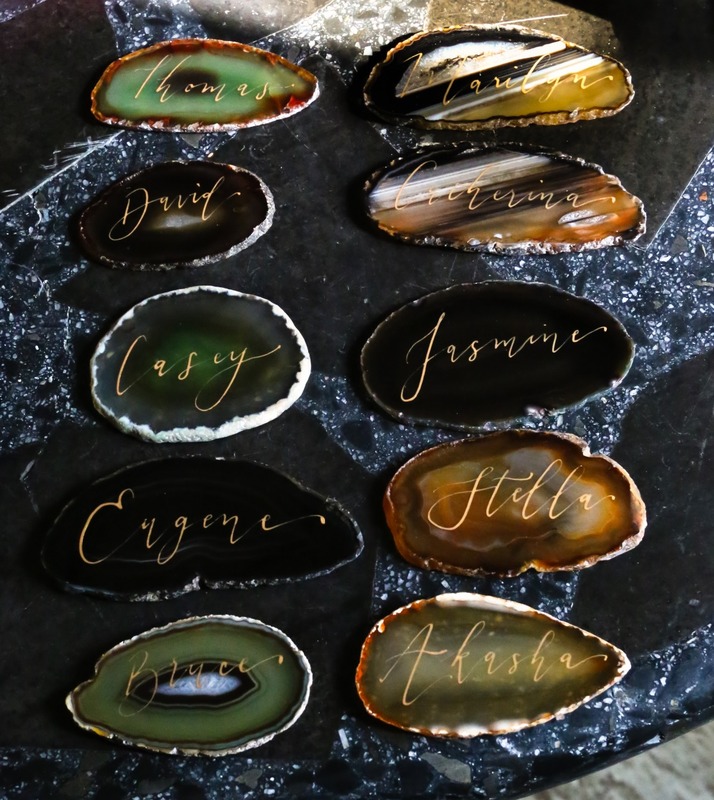 Read more about this inspiration below, and catch a closer look in the full gallery. 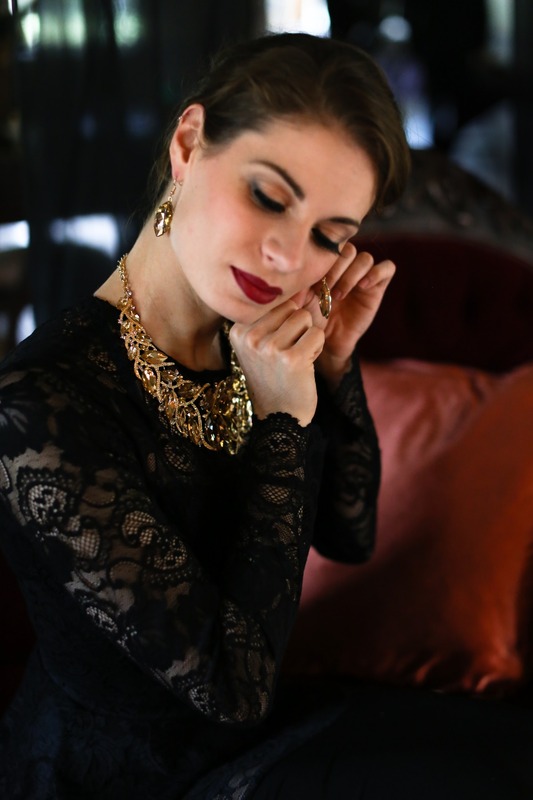 From Bohème's Jubilee LLC: Black is such a powerful color. So much meaning and symbolism is associated with the color. 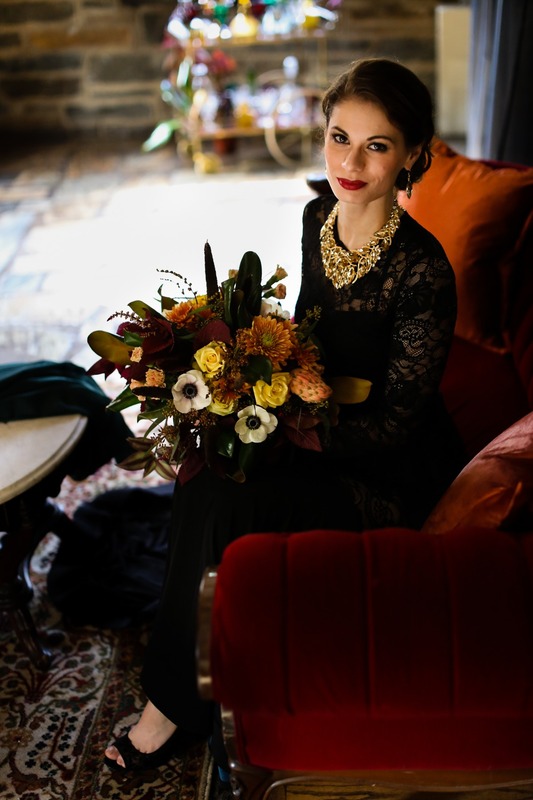 It was around the fall when we dreamed up this shoot and decided to play with people's perceptions of the color black. 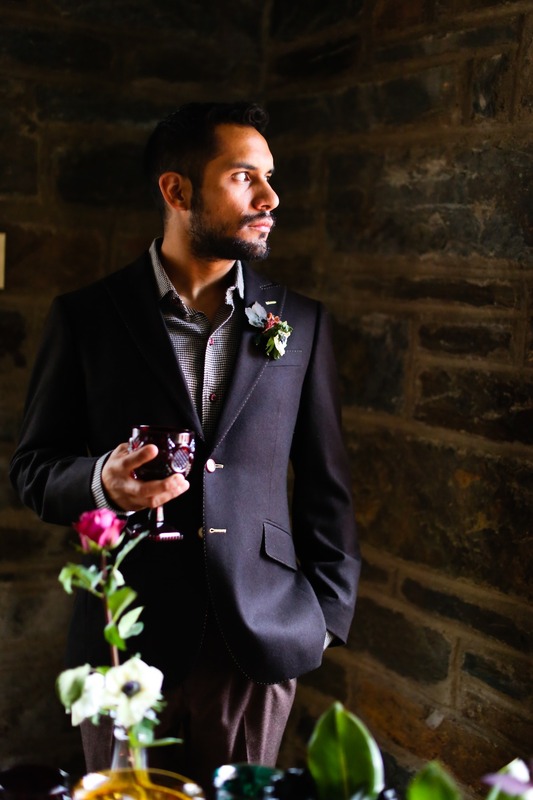 Black is rarely associated with weddings and we wanted to change that. 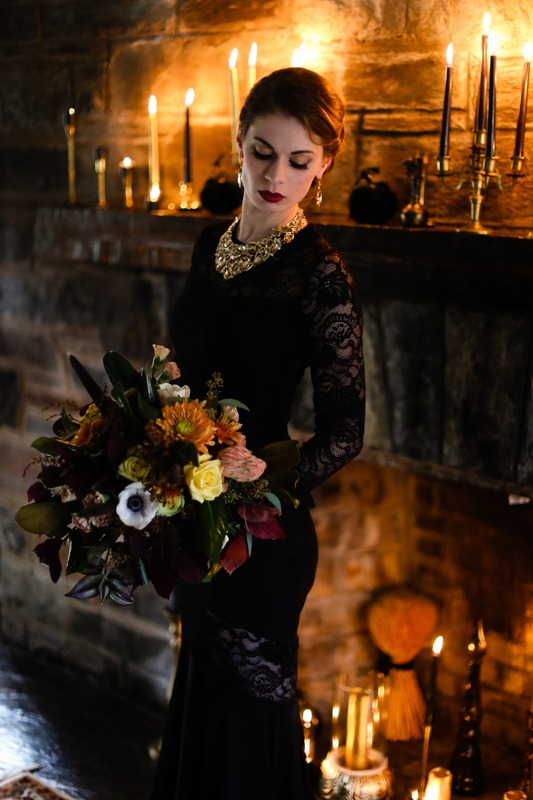 This romantic and moody black dress shoot is a beautiful blend of sophistication and class. 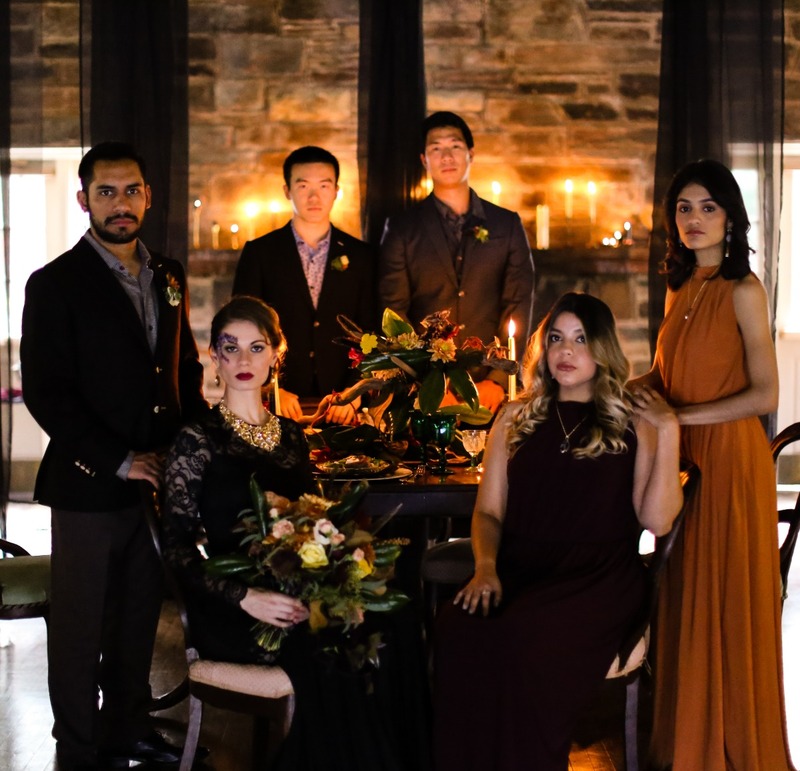 We focused this shoot on black, gold, and jewel toned colors to create a warm romantic feel, despite the chilly temperatures. 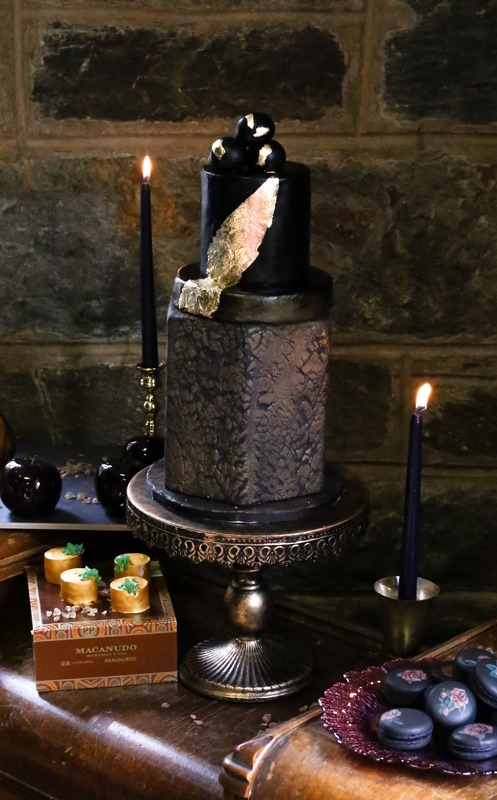 Warm glowing black candles were used to set the mood along with many antique and velvet pieces which remind us of times past. 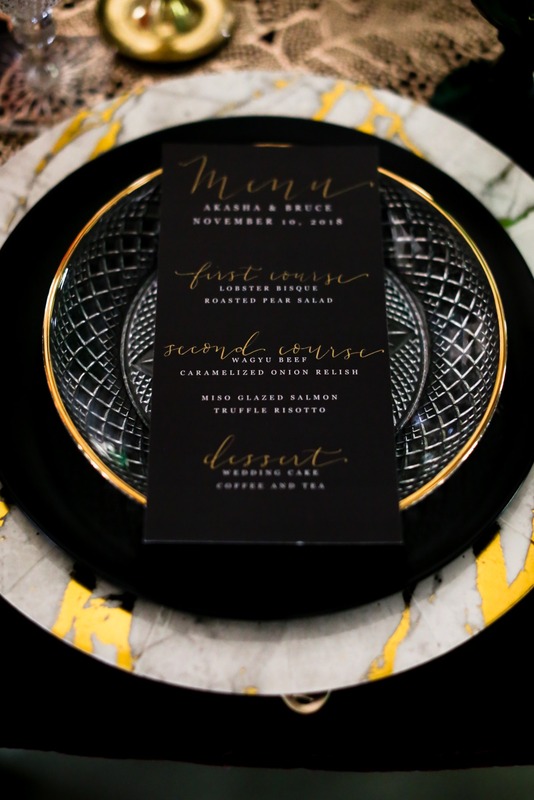 Every detail in this shoot from the sheer black drapery to the Persian rug was carefully selected to emanate the elegant facet of black. 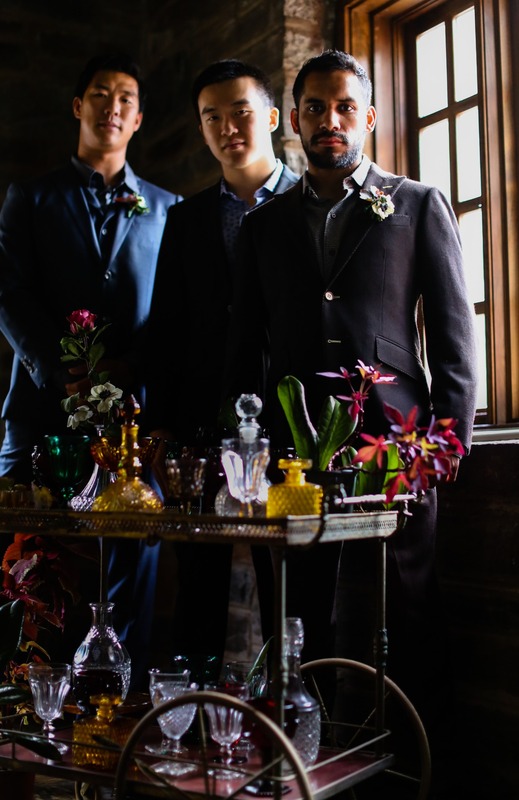 This shoot could not have been possible without the talent and craftsmanship of Megan Kelly Designs and Chris Schafer Clothiers. White we met with Chris to make sure that our groom and groomsmen models would be clothed with taste and class for the shoot, the team at Megan Kelly Designs designed and created a custom dress for our bride model Bekah Ann. The lace gown was form fitting and elegant. 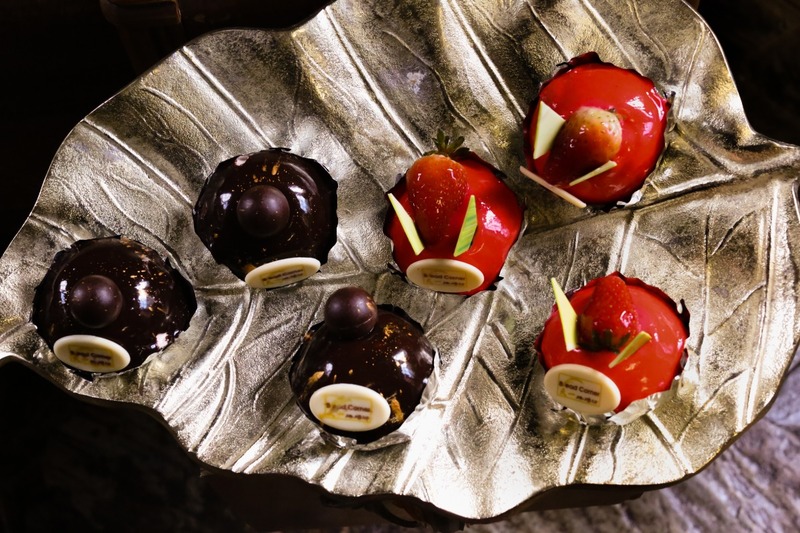 Cat's Cake Co.'s use of rock sugar crystals on the mini cakes and candied fruits added to the theme of natural elements effortlessly. 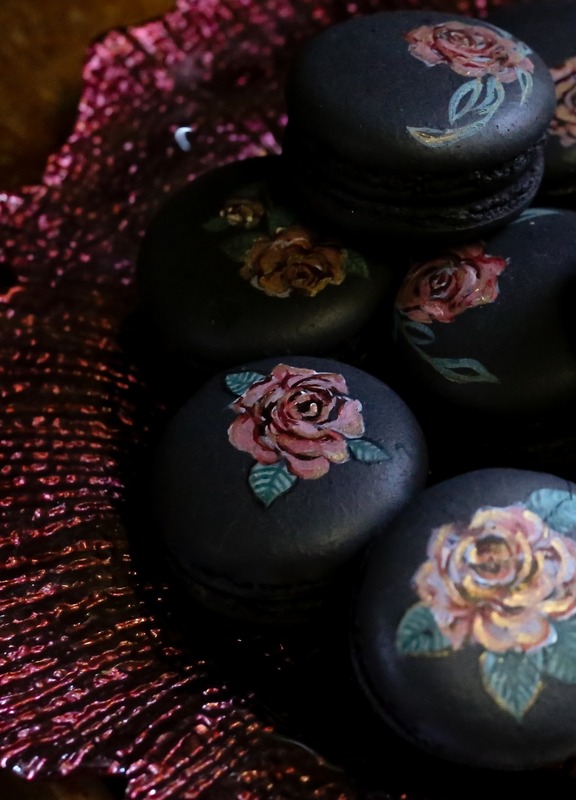 Sweet Autumn's Bakery's hand-painted black macarons could not be more beautiful with its gold detail. 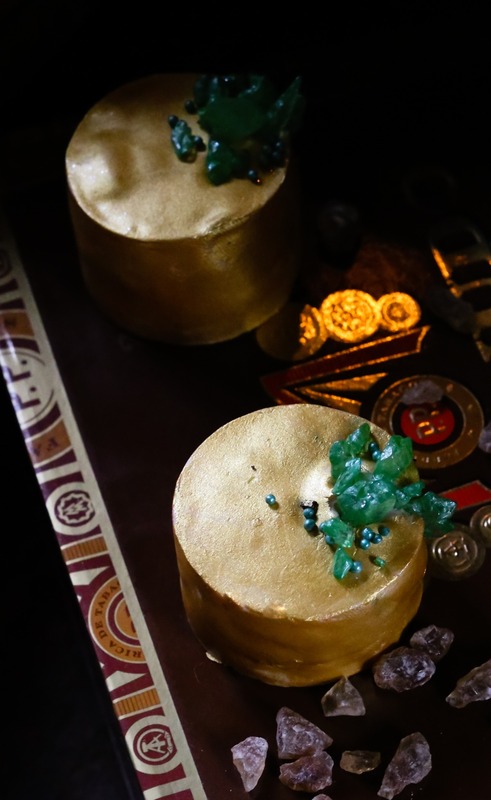 Bread Corner's mousse cakes were decorated with edible gold leaf which not only coincided with the beauty of nature, but also added to our desire to create a classy and decadent dessert table, but who could forget Angyono Custom Cakes' lovely and unique black and gold cake. 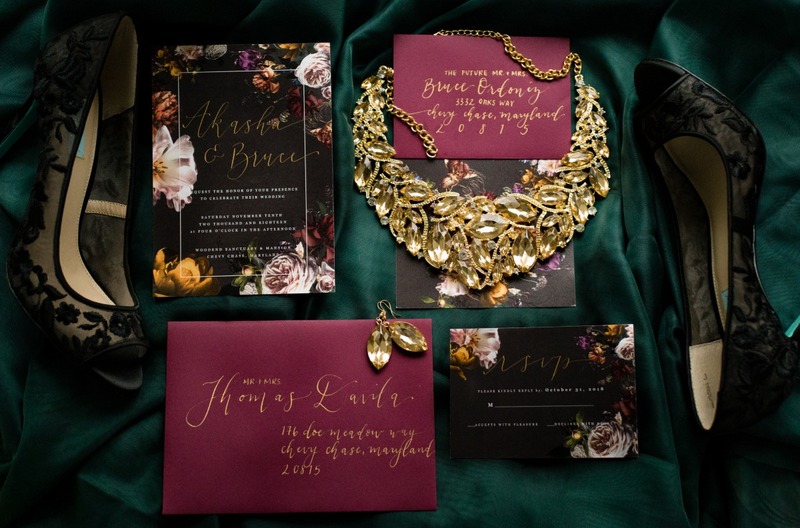 The textures, shape, and gold leaf details were artful and luxurious.